Our Pain Clinic, located in Queens, NY, regularly receives accolades from across the nation due to the effective holistic treatment approach our expert team employs, and is backed by a board-certified physicians. The well-being, health, and overall quality of life of our patients are our primary concern. 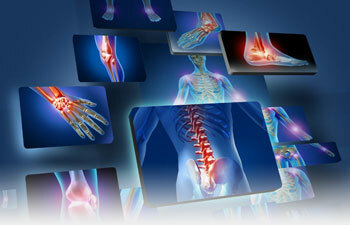 Consequently, we utilize an array of premium effective treatment techniques to heal a variety of painful conditions. Additionally, we share helpful tips for improved lifestyle choices for our patients. Our staff’s expertise offers a mix of treatment choices including interventional, rehabilitative, natural holistic and pharmaceutical approaches to bring patients healing, relief, and a return to a life of normalcy. Patients come to our clinic and are cured of numerous painful conditions such as Back pain, Neck pain, Arthritis, Herniated Discs, Spinal Stenosis, Hip/Knee pain, Sciatica, Pinched Nerves, Fibromyalgia, Headaches, and Bursitis. We also provide effective treatment for chronic migraines, cervicogenic headache, chronic headache, cluster headache, tension headache, and a variety of pain related debilitating conditions. This form of regenerative treatment is used when the body’s natural process is inadequate to stimulate the repair of injured or damaged areas. Prolotherapy is the injection of prolotherapy solution in the inflammation found in affected ligaments, tendons, and joints. This outpatient procedure is minimally invasive and utilizes a small device called a Spinal Cord Stimulator (SCS) to heal the chronic painful condition of herniated discs. This procedure is performed on an outpatient basis without the necessity of medications. This treatment procedure is performed by injecting medication directly into trigger points found the affected central areas where muscle spasms are occurring in the upper back and shoulder areas. Primarily these specific injections are used in treating conditions such as fibromyalgia, tension headache, and myofascial pain syndrome. In addition to the previous list of treatment options, our clinic’s expert staff provide many other therapy services in assist our value patients in ridding themselves of painful and persistent conditions.